May 7, 2010 - On Thursday, an American Airlines Boeing 767-200, Flight 2 departed Los Angeles, California at 9:10 AM. It arrived at New York’s JFK airport at 5:01 PM at which time the pilot was instructed to land on runway 22 Left. The pilot refused the landing instructions as the crosswinds were at 35 MPH. The American Airlines pilot instructed the air traffic controller he was declaring an emergency as he was unwilling to land on 22 left due to a reported 35 MPH crosswind which was dangerously close to the manufacturer's maximum crosswind of 40 MPH. When landing, the more direct the headwind, the greater or increase in aircraft performance in landing. In the case of American Airlines Flight 2, the wind was not a headwind but rather the wind was blowing somewhere around 90 degrees off the nose of the aircraft , this decreased aircraft performance. 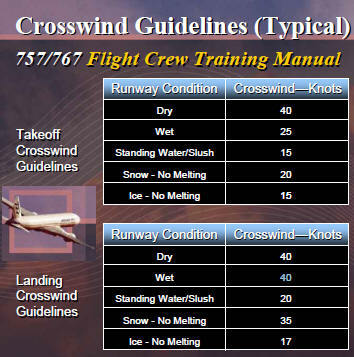 The closer you get to the manufacturer's maximum crosswind speed the lower aircraft performance becomes. This is why airports have many runways at different angles, thus allowing pilots to fly their aircraft as close to a headwind as possible. New York’s JFK airport has many runways that can offer pilots and controllers the best runway for the given wind direction. However, on March 1, 2010, JFK closed their main runway 13 right and 31 left until June 30, 2010. The closure of this runway has caused delays and forced pilots to land on other runways when the wind favors these runways. ATC, “Are you saying you’re going to declare an emergency at this time?" "It's an issue of capacity versus safety. If we are on a single runway configuration, landing on runway 31R, which was the runway most in line with the wind, we have major capacity issues, we will run extensive delays," said Steve Abraham, of the JFK Controller union.